Almonds are one of the most popular nuts for their amazing health benefits and low calorie content when compared with other nuts. Almonds are extremely versatile and delicious, making them an easy addition to your diet. Benefits: Almonds are known for lowering LDL cholesterol and reducing risk of heart disease due to their high monounsaturated fat and vitamin E content. Almonds are also great for diabetes because they stabilize blood sugar and the antioxidants scavenge the free radicals. Almonds have also been associated with weight loss and a decreased risk of weight gain. The Manganese, Copper, and Riboflavin concentrations in almonds are also known to play a role in energy production pathways, keeping our cells save and energy flowing. 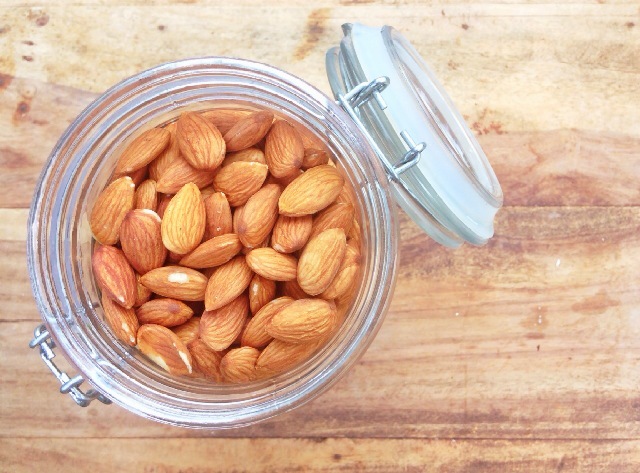 How To Use: Almonds are perfect for almond milk, preferably homemade, since you can decide exactly what goes in. It is also amazing for nut butters and is super popular for this. Almond flour is also an extremely versatile flour that gives an amazing flavor and texture to alternative baked goods. They make an amazing snack and are great in granolas and trail mixes. They are also fantastic in salads and as toppings in their slivered and sliced forms. Try soaking and sprouting them to give them a softer texture and enzyme boost.